Perimeter Security – Where Do You Start? Perimeter security in its purest form certainly isn’t a new concept. In fact building vast structures that act as a deterrent have been in existence for thousands of years. The Romans for example built Hadrian’s Wall around 122 AD while the Great Wall of China was originally built to fend off nomadic invaders from the north. 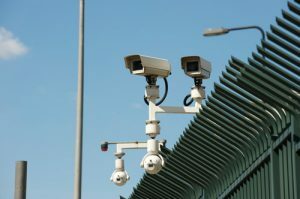 However gradually by the 19th century, gigantic man-made structures made way for smaller, cost effective methods such as chain-link fencing, and by the 1950’s electronic sensors and motion detectors were being used to enhance perimeter security further. Of course in modern-day society, it’s not the invading hordes you’re trying to keep out but individuals intent on criminal activity who might otherwise sneak through undetected. Despite this, the goal of perimeter security has always remained the same and that is to control who can or can’t enter your premises. Assets – Do you have any useful or valuable resources within the premises? Vulnerability – How vulnerable are you to any losses right now? Threat – Is there likely to be a threat or perceived threat any time soon or in the future? If so what type? Safeguarding – The degree of countermeasures needed to significantly decrease that risk. In essence, a risk equates to a threat coupled with the level of vulnerability to that threat. However your security perimeter needs may change depending upon your industry. For example, if you operate a correctional facility then the main factor for your perimeter security is to keep individuals from crossing onto your premises. Alternatively, if you own a vehicle manufacturing plant, then your focus changes to being able to closely monitor who is entering and leaving your premises. Finally if you own a power or petrochemical plant then the perceived threat may be one of sabotage or terrorism which may mean you’ll need to adopt a strict control of entry. Once you’ve conducted a thorough risk assessment the next step towards implementing perimeter security is to assess what you already have in place. It could be that you already have perimeter fencing that simply needs strengthening. Alternatively, you may already have limited perimeter lighting, but might choose to beef it up. Finally, you might decide that physical control of entry is the best way by utilising 24 hour security personnel. Once you’ve done this, then consider what else you need to make it watertight. What about signage? The correct signage in the right place can do a lot to deter criminals. However it needs to be backed up with the right equipment. For example, it’s no good placing signs at strategic points along the perimeter stating that “This premises is monitored 24 hours a day” when a quick glance shows no signs of CCTV. Any seasoned criminal will see straight through it. Instead if you state you have surveillance, you really need to install perimeter cameras. At MA Security, while we can’t promise to build you the next Great Wall of China to protect your premises, we can help you to implement and install reliable perimeter security that will give you total peace of mind. For more information contact us on 1300 020 406.